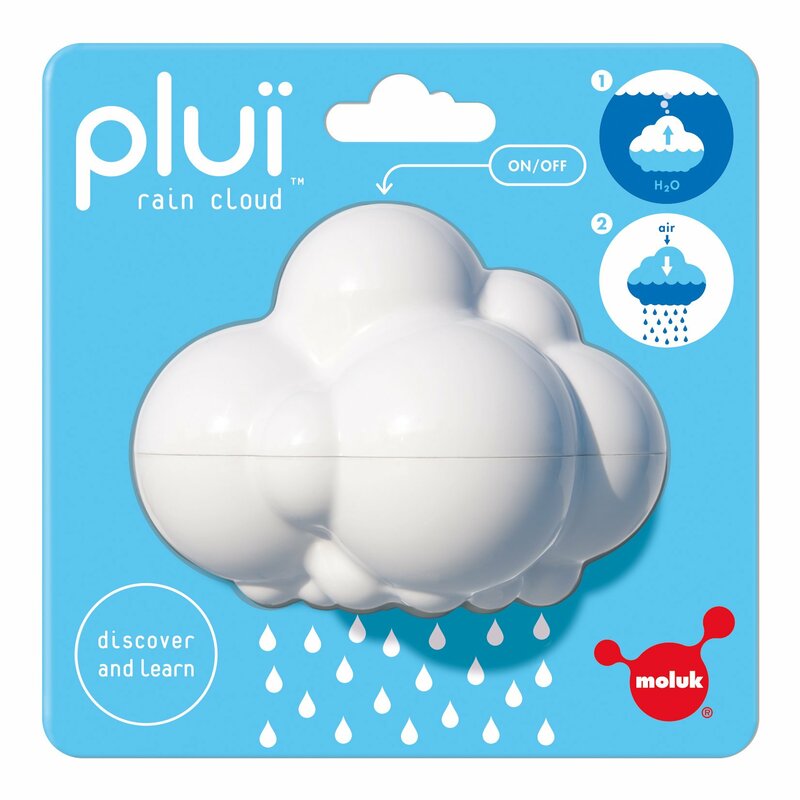 A clever bath toy with a bit of magic and a bit of learning built right in.Submerge the Plui Rain Cloud to fill it with water. Pull it out and a gentlerainfall begins. But, put your finger over the hole on the top and thewaterfall magically stops. Move your finger and rain starts again. Simplephysics creates a simply fascinating and engaging tub toy that will entertainfor hours. Helps develop motor skills and an understanding of cause and effectwhile it stimulates curiosity, imagination and a child's senses. Made from thehighest quality ABS, the Rain Cloud has a hidden release mechanism so a parentcan open and clean it so there's no mess, mold or mildew. For ages 2+. Kid O Toys, the leader in contemporary developmental and educational toys,makes learning look like child's play. Dedicated to child enrichment throughtoys that promote and nurture creativity and discovery, we make toys that aredesigned to delight and engineered to endure. Toys with open-ended play thatengage young minds, set imaginations free and celebrate a child's innatebrilliance. At Kid O, safety is paramount. Always PVC, Phthalate, BPA and leadfree, our toys are tested by independent laboratories and conform to all USand European standards. We make learning look like child's play.